"Mike V is a tremendous teacher of the game. Mike has brought me from a 101 to a 78 in a matter of 5.months. Mike has an incredible ability to get a player rapidly better within sessions. 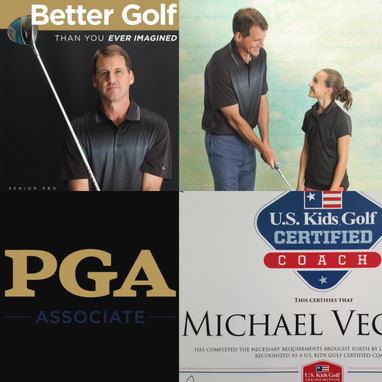 My goal is to make it to the PGA Tour, and I know Mike V can help me get there. I would recommend Mike to any golf player!!" "Coach Mike is an excellent instructor, very knowledgeable, and skilled. I was particularly impressed with his approach and patience as I am older and just getting started. I learned putting and pitching skills, how to read greens (slopes and conditions), and adjust my stroke for distance. He worked up to teaching my full golf swing with aspects such as eye, arms, and leg coordination and used unique tools such as a very short club and a long rod to help with specific motions. He even spent additional time on several lessons and encouraged me to email him frequently to follow up with my understanding of the lessons. I highly recommend Coach Mike and will be taking more lessons with him. He truly wants to give me the skills to be an excellent golfer." "Thanks to your lessons and guidance, I am doing well. I have played on the course a few times and have definitely improved. My swing is better and am able to tee off 200 yards. Still need to work on my irons. Thanks again for your excellent classes." "Mike provided intermediate golf lessons using mainly irons focusing on proper stance and swing mechanics. Very good teaching style which has improved my swing noticeably." Sorry for the delay in getting back on this. Please see testimonial below. It was good learning from you. I have been playing a 9 hole round at least once a week over the past two months and loving every moment. My best wishes to you. You were a great coach! 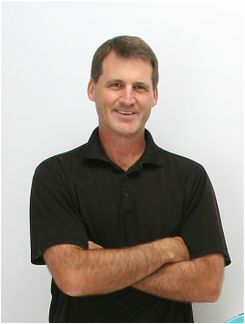 "Mike is a passionate golf coach who gave 120% of his energy into our coaching sessions. The lessons definitely helped improve my swinging, chipping, and putting skills and helped me gain more confidence with the overall golf game. I would definitely recommend Mike to someone new to golf who wants to get started right so they can maintain their interest in this fun sport." "Mike was excellent at accurately identifying my problems and making suggestions for improvement. He taught me the skills to really improve my game. His communication was outstanding and he rekindled my interest in golf." "I really appreciated all the 'Golf IQ' that Mike shared during our lessons. I find that there is all sorts of advice in books and on-line on swing mechanics, but Mike focused on how to play golf and to me that was more valuable. I have to admit that sometimes it was humbling to work through my weaknesses, but I feel like I made a lot of progress. I have a lot more to learn, but my outings with friends have become much more enjoyable."